Every building needs electricity to function and reducing the electricity consumed from the national grid leads to saving energy and reducing carbon emissions. Wind represents a vast source of energy that man has been harnessing for hundreds of years. The UK has the largest potential wind energy resource in Europe and wind power is currently one of the most developed renewable energy technologies, with the UK currently boasting the largest amount of wind generated electricity. 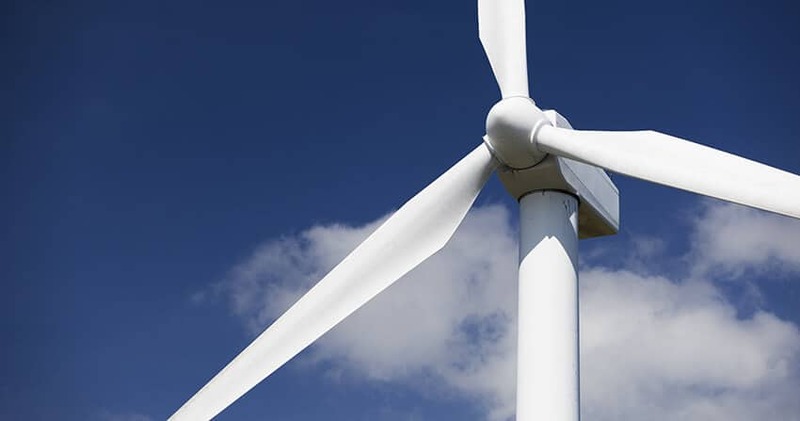 With the implementation of Feed-in-Tariffs and significant enhancement to manufacturing processes, the use of wind turbines to generate electricity is set to offer a viable sustainable alternative and supplement to grid-connected electricity supply systems. The modern wind turbine is quiet, simple to run and available in different sizes, depending on the required output. Generally Wind turbines are mounted on a tower at the high point on a site to optimise energy capture, generally because wind is stronger, more consistent and less turbulent higher off the ground. Here at Kimpton we can advise on and supply the technical detail for systems that deliver enhanced environmental performance for specific situations. The £3.3 million Bramall Learning Centre at the Royal Horticultural Society’s (RHS) Harlow Carr gardens will provide free education facilities to more than 10,000 children each year. The building has been designed to reflect environmental sustainability and biodiversity in every element and has already achieved the highest BREEAM score ever awarded for a public bespoke building. 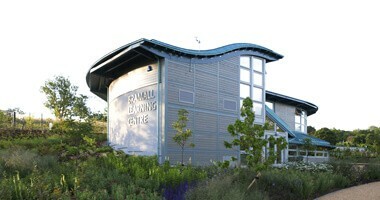 As a popular visitor attraction, the Bramall Learning Centre’s energy demands for power and heating are high and a key objective is to meet all energy needs from a range of renewable sources including a ground source heat pump. As part of this new build project, Kimpton was appointed to provide the heating, passive cooling, ventilation and plumbing services. The ground source heat pump installed by Kimpton will provide the low grade heat to cater for the thermal comfort requirements of the occupants delivered via an underfloor heating system. 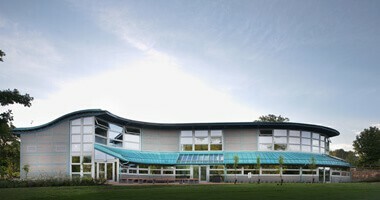 Such is the groundbreaking use of renewable energy built in to the building’s design, including the ground source heat pump installed by Kimpton, all of its energy needs will be met from renewable sources and it is also expected to feed power back into the national grid, saving the production of 75 tonnes of carbon dioxide each year. 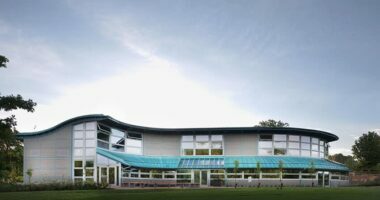 Commented a spokesperson from the Bramhall Learning Centre: “Indications to date are that the equipment installed by Kimpton will rise to the challenge and help the building to achieve carbon neutral status with all of the energy coming from renewable sources.